I have finally found a way to start doing what has been a dream of mine since 2012. I have started teaching Social Art Working classes. 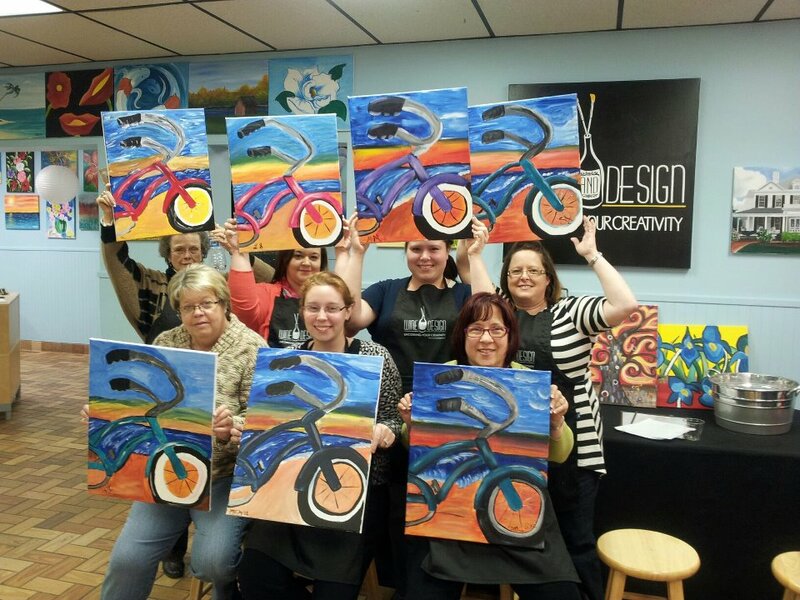 You come along to an art class that is a social activity and party with friends, family, co-workers or come meet new friends. Even if all you can do /can't do is paint stick figures you can create a beautiful piece of art work. The idea is to have fun! When I last visited my family in the USA. My sister suggested we all go to an Art Party located near where my family live. All the women in the family except my great-niece went. Have a look at how different each painting is.... Only two of us have any past experience at painting and yet we all came home with a lovely piece of art. The first night was so much fun we all went again the next night!! We are EXCITED...Let's get started! I was unable to take my painting back to Australia. I did not have room to fit it into my suitcase....Wonder where it is??? Paula??? This was my nephew's wife, Megan's FIRST ever painting. What a great job she did. I found it so interesting that everyone's paintings were so different and yet they still looked lovely. What a great idea! I would love doing something like this with friends or family. 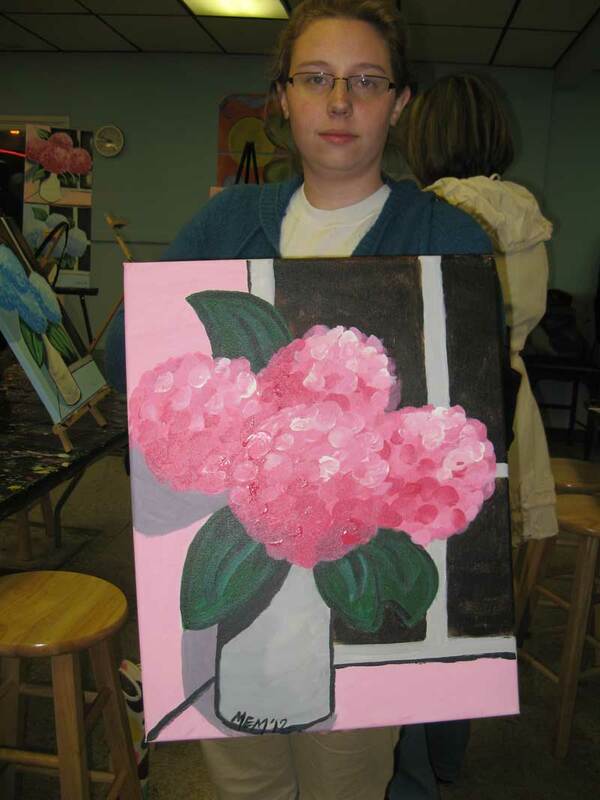 If you have ever done any painting at all You can teach Social Art Working. It is really simple to teach most of the canvases..www.social-artworking.com Check it out. Thank you. It was so much fun and I can't wait till my first class coming next Friday. This time I am teaching... I will try to make it to your link party on Sunday. Thank you Angie. I have followed you via Bloglovin. I am glad you enjoy my blog. Thank you Connie. I love Amazon...though most of what I buy is more Ebooks for my Kindle :>) I have left a comment for you...Come again soon. Thank you for taking the time to visit my little yarn room-- I appreciate your visit so much . Thank you Vicki. It is a lot of fun and really simple for everyone. The whole idea is to have a bit of fun. Thank you for stopping by Angela. You have to do this with your daughters they would love it. So much fun. I love these type of classes! Thank you for sharing this on my What Are You Doing? Blog Hop! I hope you get many more customers! Thank you for visiting. I am hoping I get more customers to, but I am having fun teaching the classes I have taught.